Consultant and author William Webb shares his thoughts on what's propelling 5G, and why. 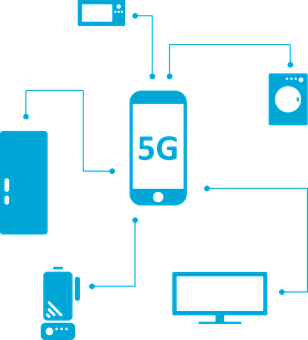 We've all read about the coming 5G networks and services, and as is the case with any emerging technology, we have had a lot of hype to wade through about value and benefits. But all this talk of 5G makes me wonder whether today's 4G networks can actually accomplish what we're trying to do with 5G. After watching the Telecommunications Industry Association video "Which Way to 5G?" I reached out to the guest William Webb, an independent consultant at Webb Search; CEO of the Weightless SIG, a body working to standardize a new M2M technology; and author of "The 5G Myth: And Why Consistent Connectivity is a Better Future." In the book, Webb shares an alternative vision of 5G, one in which industry focuses on consistent connectivity everywhere rather than ridiculously fast speeds in city centers. Here's a digest on an email interview in which he shared his thoughts on 5G vs. 4G. What's 5G, and what does it promise? 5G is not well defined, so saying what it might be is both difficult and tends to change with time. Proponents have said that it is a revolutionary communications solution that will change the way we live our lives through the provision of much faster data rates, lower delays (latency), and huge increases in capacity. Others see it as more a solution for machine connectivity (Internet of Things) or fixed access to homes. Most anticipate commercial 5G being deployed around 2020 with earlier small-scale trials before that. Predictions are that it may take until about 2025 before around 25% of the world's mobile users are using 5G networks. What's needed most -- speed, capacity, or connectivity? Capacity. There is little need for higher speed -- where 4G works well the speed of the mobile connection is no longer the limiting factor. Instead, delays across the Internet dominate. Connectivity is generally good, and where there spots or areas of poor coverage, 5G provides nothing that will improve connectivity; instead, 4G or Wi-Fi are better solutions. But 5G can improve capacity, especially in dense urban areas. This is helpful for the operators, but might not be noticed by users. Where is 5G on the hype curve? Perhaps is has just passed over the peak of hype. Claims that 5G will be revolutionary are fading, and operators are now widely saying that there is no business case. As some of the promises made about changing the world start to look silly, disillusionment -- or at least boredom and skepticism -- are likely to set in. The level of hype has been quite extraordinary, much more so than for previous generations of mobile technology. Can 4G deliver needed capabilities with today's technologies? Yes, absolutely. And 4G is continually being enhanced. The real-world gains of 5G that consumers will value are minimal. Having said that, 5G equipment is no more expensive for the operator so it will be deployed as part of routine upgrades. More specifically, 4G offers data rates well above 100 Mbps, latencies reduced to below 10ms, IoT solutions, virtualized software-based core networks, MIMO antennas, and much more. Are the economics on the side of 5G? Economics are not on the side of any wireless system at present. Monthly average revenue per user (ARPU) is falling (last year a 7% drop in the U.S.), and data usage is rising. Operators have falling revenues and no expectation that this will change. Making a business case for more investment when income is declining is tough. To deliver the full 5G vision would require a massive increase in cell numbers, and that would be hugely expensive -- and only to see revenues continue to decline. This is why operators from Europe to South Korea have said they cannot see a business case for 5G. Who's driving 5G -- vendors, providers, or customers? Vendors predominantly, with the hope for an increase in sales. Governments are also driving 5G in the hope of some benefits to local industry, and likely for political advantage through association with what is seen as the latest high-tech idea. There is very little customer pull. 5G is a solution in search of a problem. In just a few countries -- the U.S. is one -- operators are also looking to 5G as a source of bragging rights, believing that showing 5G leadership helps with marketing -- which is far from proven. Broadly not. Since 5G will be deployed by the existing operators there is limited regulatory change needed. It is helpful, but not essential, for 5G to have new spectrum allocated, and this is happening around the world.